Imphal: Expressing concern over the two-month impasse at Manipur University, Deputy Chief Minister Yumnam Joykumar Sunday appealed to the protesting students and teachers to cooperate with the HRD Ministry and the state government in "restoring normalcy" at the institute. 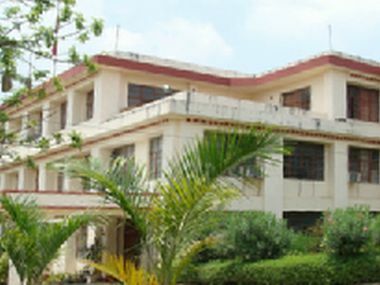 Academic affairs have been under suspension at the central university since 30 May as protesters, under the aegis of Manipur University Students Union and Manipur University Teachers Association, have been seeking the removal of Vice Chancellor Adya Prasd Pandey over allegations of irregularities. At a press meet Sunday morning, Joykumar said, "We are very concerned about the future of the students as the impasse has entered its third month. The academic activities must have suffered a huge setback because of the stir." Pandey was granted a one-month leave earlier this week on the advice of the Union Human Resource Development (HRD) Ministry. He was replaced by professor W Vishwanath Singh. 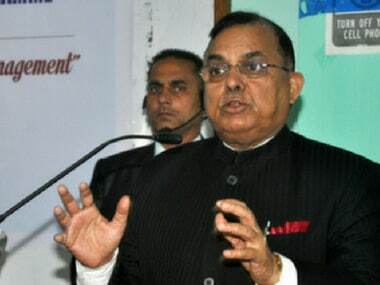 The ministry in July had formed an inquiry committee, headed by a retired chief justice of high court, to look into the allegations against Pandey. 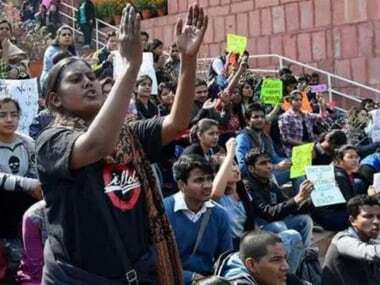 The agitators, however, refused to accept the HRD ministry's arrangement and sought his immediate removal. They also alleged that one of the panel members was associated with Pandey and that the probe, under such circumstances, might not be impartial. Three students' bodies - All Tribal Students Union, All Naga Students Association and Kuki Students Organisation - have threatened to intensify the protest if the crisis was not resolved by 6 August. In an attempt to pacify the students and the teachers, the deputy chief minister said the objective behind sending the vice chancellor on a month's leave was to "expedite the probe" during his absence. "The state government is taking all possible steps to end the crisis and restore normalcy at the university. The students should not doubt its intentions. All inquiry will be carried out based on facts and figures," he said. Joykumar also said that he was aware of the apprehensions among a section of agitators over the composition of the HRD ministry-appointed fact-finding committee that is probing into the allegations. "The constitution of the committee is not within the ambit of the state government, but a retired Chief Justice of Meghalaya High Court has been inducted into the panel, as per the wishes of the protesting bodies," he stated. The deputy chief minister urged the university community to complete all pending work over September. "At least all pending work, mostly related to declaration of exam results, should be completed during Pandey's absence or the students may face the possibility of losing an academic year," Joykumar said, adding that the protesters should not lose faith in the administration. State Education Minister Th. Radheshyam, who was also a part of the press meet, appealed to the students' bodies to reconsider its decision of intensifying the protests. Radheshyam was a part of a ministerial team that recently met Union HRD Minister Prakash Javadekar in connection with the impasse. "The administration and the probe committee should be given some time to solve the crisis. Intensifying the agitation at this juncture will only add to the problems," he added.